In this world of fierce competition, businesses have to keep growing and expanding their customer base in order to stay profitable and relevant. While it may seem simple, it's not easy to keep your current customer base intact while adding more and more new clients. Reaching your target audience among a wide mix of demography is extremely challenging. Thankfully, we have mailing list brokers who help source this information to us. 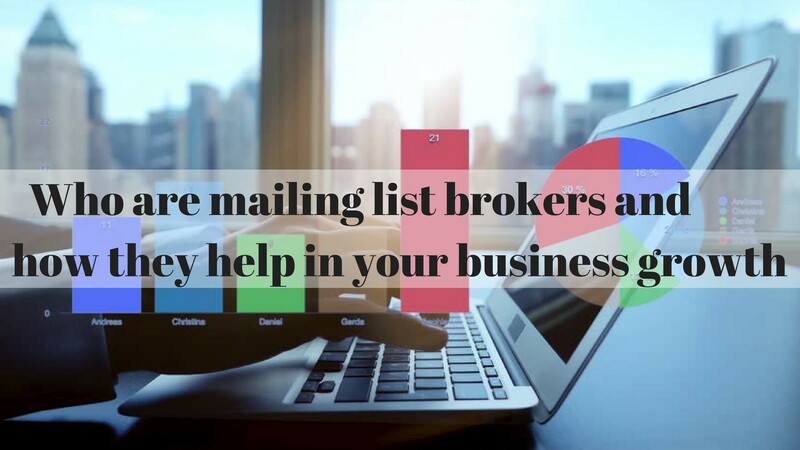 Mailing list brokers act as a mediator in getting the right customer for your business. You can specify the requirements for your prospective customer, which will match with your product features such as the age, gender, income, choices, etc. Once you elaborately give the sort of population you are targeting, a data list broker will search and identify the right list/ lists that matches your preferences. After selecting from a wide variety of options available in the market, the broker sends you an extensive list of data cards to choose from. Once you decide on the list, the broker will help you to procure it from the sellers. The lists can only be rented, and not permanently obtained, from the sellers. You cannot use the list for more than the number of times as agreed in the contract. List sellers can penalize you or decline to work with you further if you breach this term. The broker gets a commission by the list owner for their service. Apart from finding you individual customers, business list brokers also play an active role in connecting with your potential new clients. They use their large database and expertise to identify people who are best-suited to your marketing campaign. They can provide a list of clients locally and internationally, making it easier to access newer markets. These lists can give you data based on different selections like job title, credit rating, employee size, sales volume, business type and year established. Business list brokers provide a one-stop solution to all your needs, from consultation to sourcing you the appropriate list. They also follow up to find out if the business list campaigns worked successfully or not. Therefore, finding the right business list broker, who has the best sources and expertise in the industry, becomes vital to business interests. For expert solutions, you can count the team at AmeriList to give the best results. Our database is sourced from multiple sources like Yellow Pages, White Pages, Annual Data, Government Reports and SEC Filings, just to name a few. You can leverage our exhaustive list to expand your business further.